Russian Foreign Minister Sergei Lavrov is to meet US Secretary of State John Kerry in Paris, officials representing both sides told the media on Saturday. Russian official sources said that Kerry had spoken to Lavrov while en route to Washington from Saudi Arabia, where US President Barack Obama was on a state visit. The phone exchange comes less than a day after Obama and Russian President Vladimir Putin spoke on the phone in a bid to deescalate tensions over Ukraine and reports of Russian troops along the southern border. “President Putin called President Obama today to discuss the US proposal for a diplomatic resolution to the crisis in Ukraine, which Secretary Kerry had again presented to Foreign Minister Lavrov at the meeting at the Hague earlier this week … the presidents agreed that Kerry and Lavrov would meet to discuss next steps,” a White House statement on Friday said. Meanwhile, despite reiterating that Moscow was ready to protect the rights of Russian speakers in eastern Ukraine, Lavrov said that his country would not move beyond last week’s ‘reunification’ with Crimea. 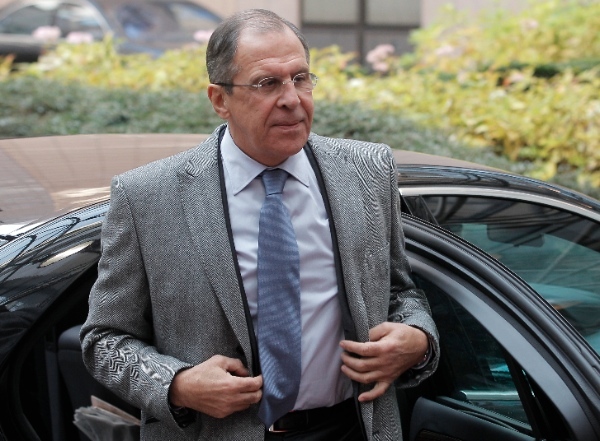 “We have absolutely no intention of – or interest in – crossing Ukraine’s borders,” Lavrov told Russian television. He did, however, call for “deep constitutional reform” in Ukraine saying that a federation of states – or regions – would allow for Russia’s southern neighbor to steadily develop. “Given the proportion of native Russians (in Ukraine) we propose this and we are sure there is no other way,” Lavrov added. Each region, he said, would have jurisdiction over its economy, finances, culture, language, education and “external economic and cultural connections with neighboring countries or regions”.